When you decide to Harvest Standing Timber, your Forestland should be Treated Uniquely. This is the Experience you will gain when you Consult with T&D Thompson and HardwoodProducts.com on your next Timber and Land Proposal. T&D Thompson can provide customized Timber Management Plans for Landowners who would like to enhance the Value and Health of Their Land for greater long-term profits and sustained yields. 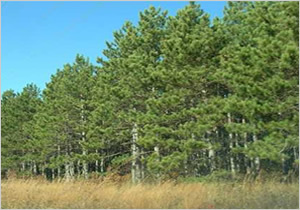 With Proper Forest Management Practices, Landowners can Continually Improve the Quality and Value of their Forest. Contact us to get a Free Land and Timber Quote. Question: What is my timber worth? It is always difficult to estimate what your timber is worth without us coming to examine your property. Also, timber value is dependent on the size and quality of the logs cut out of the tree. Our foresters will work with you to help you understand the best way for us to harvest your tract of timber to maximize it’s value. Q. How Do I Sell My Timber? Can I Sell Storm damaged or blown down timber? Yes, It depends how long the timber has been laying on the ground and the access to the timber harvesting process will be. The quicker you can sell the blown down timber the better. We have only a few acres are you interested? T&D Thompson usually would have to have at minimum of at least 5 acres to come asses and harvest your timber. How do I Contact you to get an Opinion? Please Call Our Offices at (740) 332-8515 and talk to Travis. Or you can use the Contact Form Below to Send us A Email Request. Use The Form Below to Contact Us Right Now.